Finally! 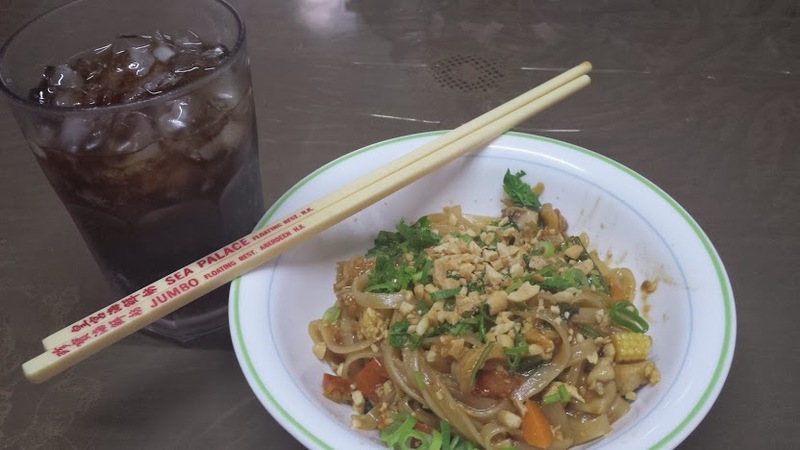 I was able to try my learned recipes from Thailand. Granted, i have been making this already before, but it was only with a minor success, even on repeated attempts. But now. NOW! This recipe was done immediately after my sister gave me the healthy cookbook. 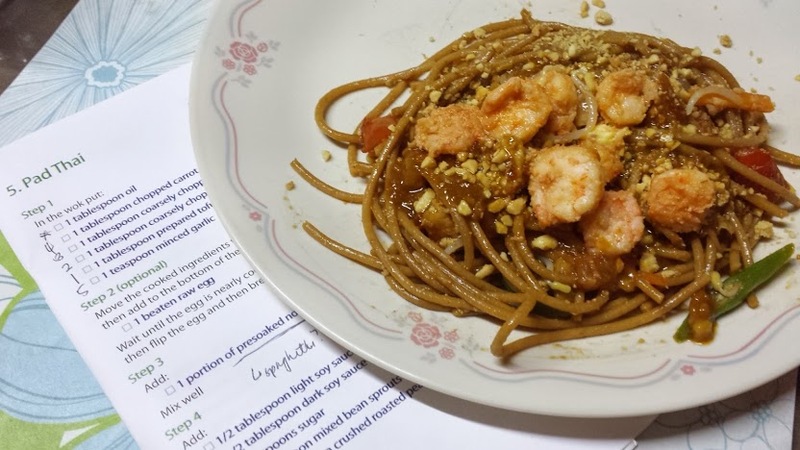 So spying some whole-wheat spaghetti noodles (and being advised by the chef that ANY noodle can be used in pad thai) I used that instead. FYI, I made this dish with rice noodles a couple of days after and it tasted heaven. Whole wheat spaghetti? Nah. One thing you have to remember though in Thai cooking is it involves salt (comes in the form of soy sauce, fish sauce, and the oyster sauce), sweet (which is usually sugar, palm preferably and the sweetness of oyster sauce), sour (comes in the form of lemon, lime or calamansi) and spicy. The fragrance is also important part of their cooking through galanggal, ginger, lemongrass, cillantro, etc. Plus coconut 🙂 So these are present in almost every dish. In hot oil, saute the onion, garlic and tomatoes until softened. Then add the peanuts. This will soak up the oil fairly quickly and you might need to add more. Add the chili (and be careful, the fumes got me) and let it cook. Add the seasonings first, then followed by the coconut milk. As most Thai dishes are, you should be able to create a balance with all the flavors present. The sauce will thicken to something like a chunkier peanut butter (yummier too). Cook using this as the base for pad thai, or use as preferred. Freeze leftover sauce and reheat as needed.